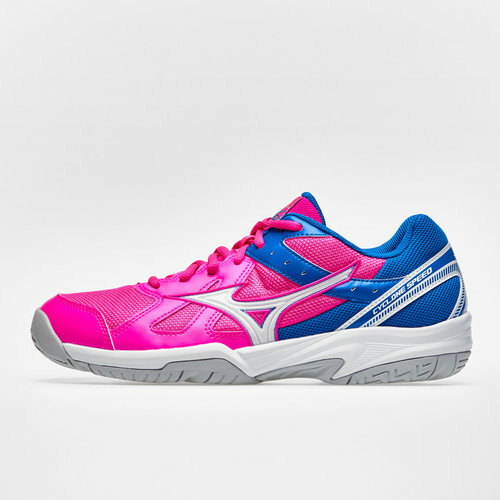 Another brand new netball shoe in the Mizuno range, meet the Cyclone Speed. The clue is in the name - a super lightweight, versatile shoe for speed and mobility. An entry level shoe with bags of features to ensure value for money. Engineered with Mizuno Fit and a lightweight design, the Cyclone Speed is perfectly balanced for less impact with better support. Take on any court, anywhere. Mesh upper for light weight and breathability Dynamotion flex grooves for enhanced forefoot stability and maximum ground contact. Sorry, product 'Wave Cyclone Speed Netball Shoes' cannot be personalised.